Is Patrik Berglund sick, or just sick of playing for the Buffalo Sabres? 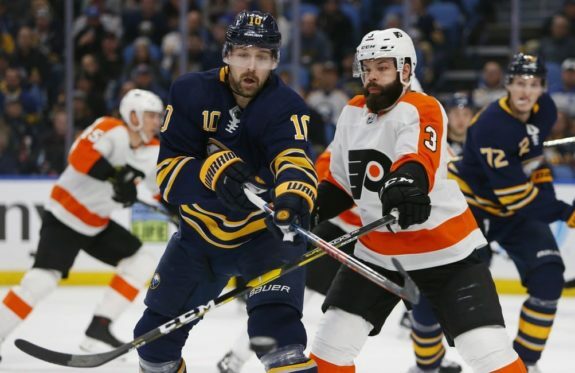 Just hours before facing the Washington Capitals on Saturday, the Sabres suspended Berglund for failure to report to the team. The 30-year-old forward had missed the previous two games with what head coach Phil Housley called an illness. According to the NHL’s Collective Bargaining Agreement, the conditions for which a club can terminate a player’s contract are pretty simple: “The club may terminate the standard player contract if the player should fail, refuse, or neglect to obey the Club’s rules governing training and conduct of players, if such failure, refusal, or neglect should constitute a material breach of this standard player contract. Right now, Berglund is considered in breach of his contract – he missed an event that he was supposed to attend. The Sabres have the right to void the remainder of his deal without any ramifications on the salary cap. It could become a case similar to that of Jake Dotchin and the Tampa Bay Lightning; another battle between the league and the players’ union. Details about Berglund, who was acquired from the St. Louis Blues as part of the Ryan O’Reilly trade on July 1, are not easy to come by. He has gone AWOL. Calls to Berglund’s agent, Peter Wallen, have not been returned. 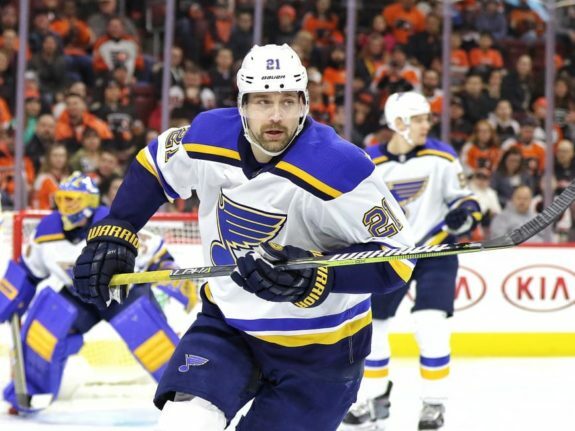 Berglund, while with the Blues, had a full no-trade clause until June 30, 2018. As of July 1, when the trade happened, it became a partial no-trade clause. His updated list of teams was not received in time and therefore the trade was legal and binding. It’s a little puzzling that Doug Armstrong, the GM of the Blues, didn’t check with Berglund or his agent to find out if the Sabres were on the list of acceptable teams he’d agree to be traded to. The harsh reality is the onus completely lies with Berglund’s agent to provide a list. Once the trade was official, Berglund reported to Buffalo. He appeared to be perfectly fine with his new team. In training camp this season, Berglund, an elder Swede on a franchise with several young countrymen, was jokingly called “The Swedish Godfather” by Jack Eichel in Sabres training camp. “All the Swedes just follow him around,” said the face of the franchise. Many penciled in Berglund as the Sabres No. 2 center, giving newcomer Casey Mittelstadt time to adjust to the NHL. The ten-year veteran is as comfortable playing center as he is on the wing. After the trade, Berglund admitted he thought the Blues would likely move him, but was excited about a new adventure. “It made me really excited to go play somewhere else, especially here [in Buffalo], where I saw there was so much talent in this room,” said Berglund. It’s possible that now, with the season almost a third over and the Sabres having success, Berglund is not satisfied with his limited role with the team (he’s averaging 13:03 of ice time per game compared to almost 16 minutes with his old club). He may see an even more grim future with so many young Sabres prospects in Rochester pushing for time with the big club. Berglund was drafted 25th overall by the Blues in the 2006 NHL Draft. He played the first 10 seasons with the club, netting 170 goals and collecting 156 assists for 326 points in 717 regular season games, including three 20-goal seasons. He has three years remaining on his current contract with an annual salary cap hit of $3.85 million. Botterill made the O’Reilly trade to shake up the locker room and clear some future payroll – taking on Berglund was a salary cap dump by the Blues. At the time of the trade, many Sabres fans were soured by Berglund’s contract. Though he was supposed to bring depth to the bottom six, it has happened yet. The veteran has dressed for 23 games this season – roughly two-thirds of the team’s games. He missed five games with an upper-body injury and was a healthy scratch for a few others. He has two goals, two assists and a minus-five rating. If the Sabres are able to void Berglund’s contract, for many, the trade becomes better. He’s not been a great fit, nor does he Factor (pun intended) into the Sabres long-term plans. Furthermore, if Berglund is removed from the team, it opens up an opportunity for someone to fill his spot at a fraction of the cost. 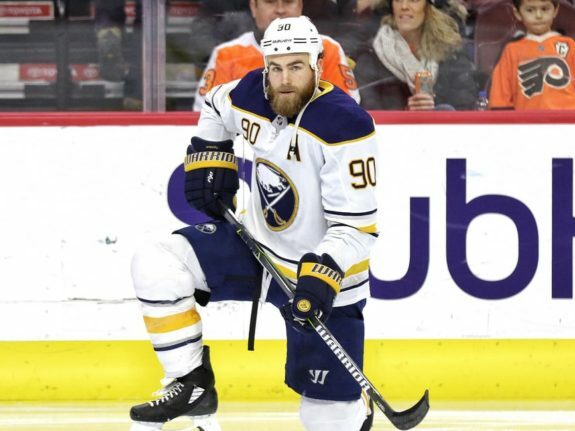 Related – Ryan O’Reilly Trade: Who Won? As Friedman said during his report, both sides likely want to rip the Band-Aid and end this situation before it becomes an issue. It’s not an easy one to fix. If Bergland walks away from his contract, he’s turning his back on a contract that he’ll be hard-pressed to find elsewhere. He’d be throwing away upwards of $10 million. The Sabres may try to unload Berglund via trade and retain part of his salary and cap hit. Another option is for the Sabres to bite part of the bullet and pay Berglund his salary over the term in advance as a buyout. This would offer some cap relief and a roster spot. Regardless of the outcome, it’s likely Berglund has played his last game in a Sabres sweater.